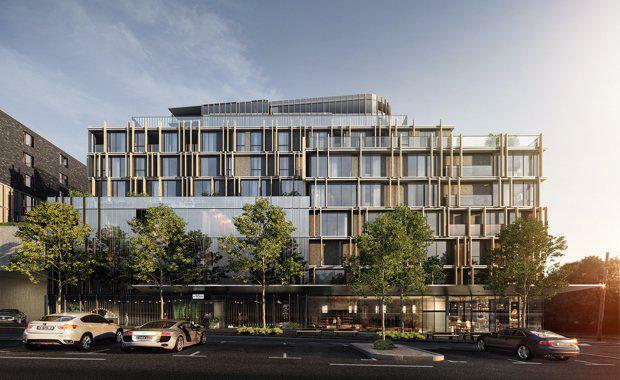 Trenerry Property have unveiled their vision for a new addition in their best-in-class urban lifestyle precinct West End, and it comes in the form of West Melbourne's first ever five star hotel. 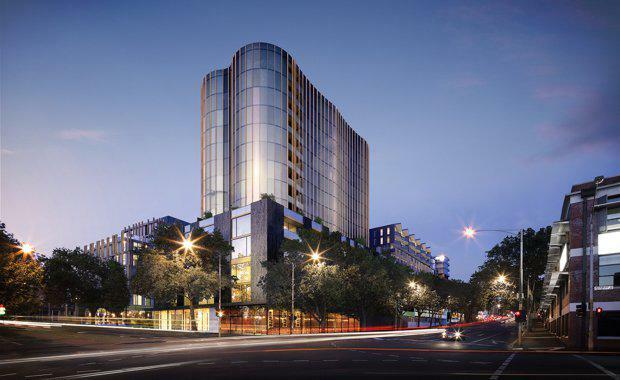 In collaboration with the Adina Grand brand, Trenerry Property plans to deliver the 92-room hotel across seven levels, and will open in late 2019 to offer luxury accommodation as well as hotel services to residents living in the West End precinct’s approximately 350 apartments. 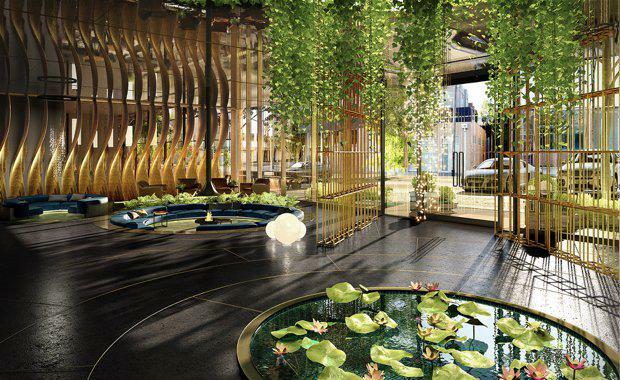 It is the first ultra urban luxury concept hotel for Adina, which is part of the TFE Hotels portfolio, a joint venture between Far East Hospitality and Toga Group, one of the largest hospitality management groups in Australia. Its bespoke design continues the unique West End philosophy, where Australia’s best interiors firms will showcase their talents across five buildings crafted to change the way Melburnians approach apartment living. The hotel's design incorporates elements of the rainforest and the moon, contrasting with a neon stylings of a futuristic Tron setting. The Adina Grand Apartment Hotel will offer premium services and beautiful spaces where guests can design a lifestyle experience during their stay, combining shopping excursions at the precinct’s retailers with visits to a fully-equipped day spa, intimate 50-seat cinema and West End’s nine bars and restaurants. Trenerry Property Director Robert DiCintio said the hotel’s services would be available to residents as part of West End’s commitment to nurturing a lifestyle where everything is at a resident’s fingertips. “Residents will be able to opt-in to the hotel’s concierge, meeting facilities and day spa that has been designed to offer the latest in wellness treatments and technology. “This isn’t about plonking a hotel on a site, but about integrating the life of a hotel into the energy of a residential environment for the benefit of all," he said. TFE Hotels CEO Rachel Argaman said the Adina Grand Apartment Hotel reflected the group’s expansion and confidence in the Melbourne market. “Adina Apartment Hotels are strategically located in city precincts and will offer access to curated and memorable experiences for guests and locals to eat, see, shop and play while Adina Grands will offer direct lobby access to high-end bar and dining options and spaces rich with superior finishes, opulent interiors, detailed stylish furnishings and high-end branded bathroom and minibar products in the rooms,” she said. Each level of the CHT-designed hotel will boast a striking and bespoke design, with every element of the building memorably enhanced, from the rainforest-inspired lobby to the Tron-like neon car park. The hotel’s foyer is a true sanctuary from the industrial exterior of West Melbourne, with a leafy forest feel communicated via an internal solarius garden, planted with gnarled trees and wilds and looking up to a moonscape above. A green wall in the lobby is enhanced by neon tubing, which provides an ultra urban articulation throughout the building, even appearing in place of traditional painted lines in the car park. “The effect is a visual landscape that changes and evolves no matter where you are in the hotel, just as it does outdoors in West Melbourne as you walk into the nearby CBD,” DiCintio said. Hotel rooms continue the strong design response, incorporating circular elements that reference the external landscaping response by Eckerskley Garden Architecture. Natural stone, soft timbers and brass highlights adorn the spaces, with tactile and solid finishes. The circular motif extends into the hotel’s wellness centre, which will be shared by residents. Here, the latest approaches to wellness will be celebrated, with space for a massage studio, yoga pod, spa, beauty parlour and a range of other treatment pods for wellness innovations that will ensure the centre’s services are truly ahead of their time. This state-of-the-art centre opens onto a landscaped retreat on level three, atop the street scene, providing a feeling of escape and serenity. The hotel will include a 25 metre lap pool and an outdoor spa, as well as resort style seating interspersed among the natural environment, which extends to a hidden meditation garden. In an Australian first, developer Trenerry Group, in collaboration with project partners Victor Smorgon Group and Kanat Family, have brought together a collection of Australia’s best designers on one project, ensuring West End’s vision of creating a vibrant and diverse community is achieved. As well as Hecker Guthrie, Carr Design Group, Mim Design and Six Degrees are all imparting their signature aesthetic one West End residential building each. Construction is expected to start in July, with completion anticipated end 2019. West End is currently one of the biggest development projects with prolific architectural design in Melbourne and will remake a 9200 square metre former industrial site into a pulsating hub for living, playing, staying and working. It was designed as a self-sustaining community and combines exemplary residential living across four boutique apartment buildings with the service of an on-site hotel, and the convenience of a myriad of retail and hospitality options, all complemented by extensive private and public relaxation zones.